Launching with ten teams initially, fans of the Boston Red Sox, Chicago Cubs, Detroit Tigers, Kansas City Royals, Los Angeles Dodgers, New York Mets, New York Yankees, San Francisco Giants, St. Louis Cardinals and Texas Rangers with receive exclusive apparel, collectibles, experiences and more every month throughout the season with additional teams to be rolled out later this year. The monthly subscription service will feature exclusive team-focused products as well as an opportunity to win VIP one-of-a-kind experiences and are currently available on a first-come, first-serve basis. Each crate will be limited to ensure their collectability. Every subscriber will enter to win a VIP chance of a lifetime with their team: ride the bus, chill in the dugout, throw out the first pitch and more. 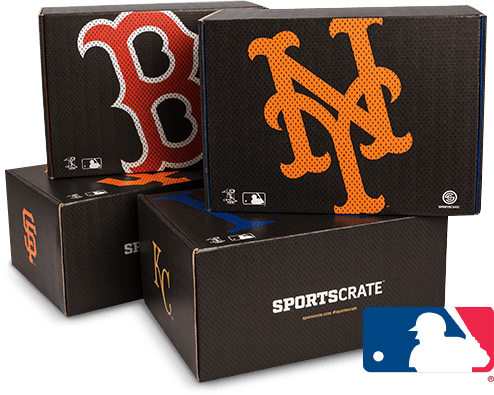 The Sports Crate is exceedingly exciting for baseball fans. 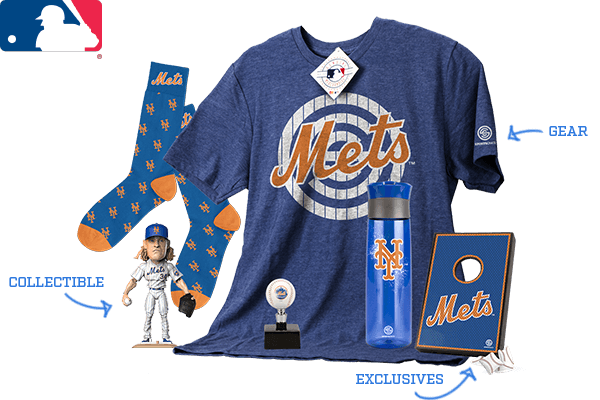 With exclusively licensed apparel and products from the MLB, this crate seems to be a steal. Any sports fan knows how expensive it is sometimes to buy licensed apparel from their favorite teams or the crushing sadness that comes from missing out on your favorite player’s bobblehead stadium giveaway. Every crate will have five to seven team specific items along with a T-shirt or apparel item. For more information, simply visit www.sportscrate.com or MLB.com to find out more. Fans can also visit the website to submit the team they’d like to see made available in the coming weeks and months. “Bringing the Heat” will be the first featured theme for the Sports Crate. It will be stocked accordingly with a highly collectible, exclusive action figure of each respective team’s starting pitcher along with everything a fan needs to “bring it” on Opening Day. This crate also includes a One Month Free Subscription to MLB.Tv (a $24.99 value).